When Do Stargazer Lilies Bloom & How Long Do They Stay in Bloom? 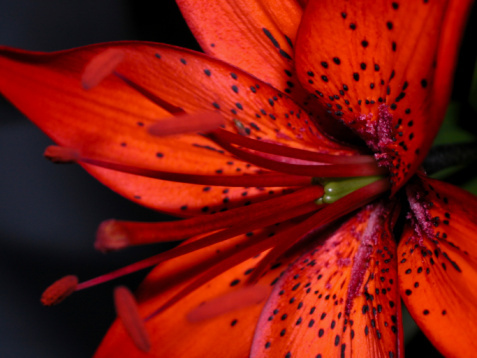 The Stargazer lily is known for its electric-pink to crimson, rose-spotted flowers. 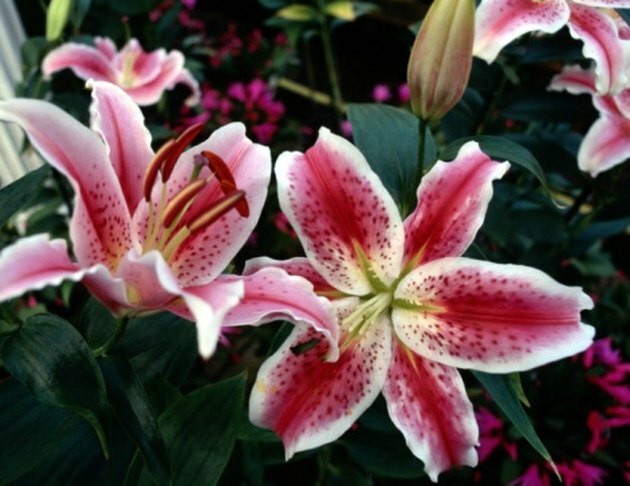 A hybrid Oriental lily, Stargazer is 3 to 4 feet tall. Its upward-facing blooms -- unusual for Oriental hybrids -- gave the plant its name. Stargazers are popular midsummer Oriental lilies. Oriental lilies bloom as Asiatic lilies fade in summer and Stargazers are early bloomers among Orientals. Where the last freezes of winter occur in May, Stargazers bloom in late July and August. In warmer zones, where bulbs can be planted as early as February, plants will bloom in late May and June. How long the plants bloom depends on the age, light and nutrients they get. Mature plants hold from four to 12 blooms that open in sequence over a period of approximately two weeks. On plants with many blooms, early blooms may fade as later buds above them open. Deadheading spent blooms helps strengthen the lily's bulb. Greenhouse growers plant Stargazers in December and January for Easter and Mother's Day gifts; bulbs may be planted in the garden but will need a season to acclimate. No more than half a garden lily's stem should be cut after blooming; removing the yellow, pollen-coated anthers "fools" the flower into staying open longer. How Often Do Aloe Vera Plants Flower?